COLUMBUS, Ohio – An Ohio state senator recently introduced a bill that would have forced homeschoolers to undergo government investigation, but promised on Thursday to withdraw the legislation following widespread criticism. 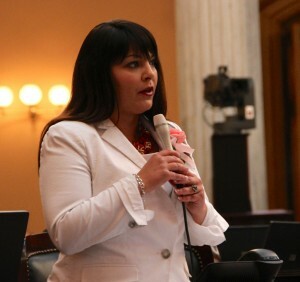 Democratic Senator Capri Cafaro has represented the 32nd Ohio Senate District since January 2007. Earlier this month, Cafaro introduced to the Ohio legislature Senate Bill 248 (SB 248), which would have amended the state’s education policy toward homeschoolers and internet-based schools. Along with other initiatives, SB 248 calls for the creation of “an intervention program” that would include “behavioral counseling sessions” and various “in-person classes” to train parents how to educate their children at home. Parents who refuse to participate in these programs would be stripped of the freedom to homeschool their children. Cafaro referred to SB 248 as “Teddy’s Law”—a reference to 14-year-old Teddy Foltz-Tedesco, who died in January after a severe beating. Teddy had been allegedly abused for years by his mother’s boyfriend, Zaryl Bush, leading public school teachers to report the abuse to authorities. Teddy’s mother then withdrew the teen from public school, supposedly to homeschool the boy. However, her boyfriend then beat Teddy so severely that he died of his injuries. Cafaro touted SB 248 as a means to create “checks and balances so children like Teddy Foltz-Tedesco don’t fall through the cracks” and become subject to abuse at home. However, homeschooling advocates denounced SB 248 as an inappropriate crackdown on parents’ rights to educate their children. The Home School Legal Defense Association (HSLDA) described SB 248 as the “worst-ever homeschool law proposed in Ohio,” stating Teddy’s tragedy was “a sad story of a broken home” where homeschooling was not the source of the abuse.